Take a seat and relax. Have you ever realized how many hours you spend sitting behind your drumset? Spending all those hours on a Roc-n-Soc drum seat makes it as comfortable as sitting in an easy chair. 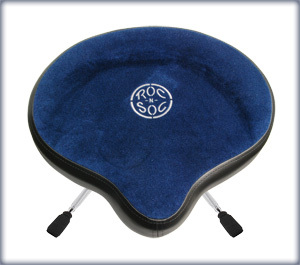 Roc-n-Soc brings superior quality when you need a comfortable and stable drumthrone.